The trees, the flowers, the plants grow in silence. The stars, the sun, the moon move in silence. 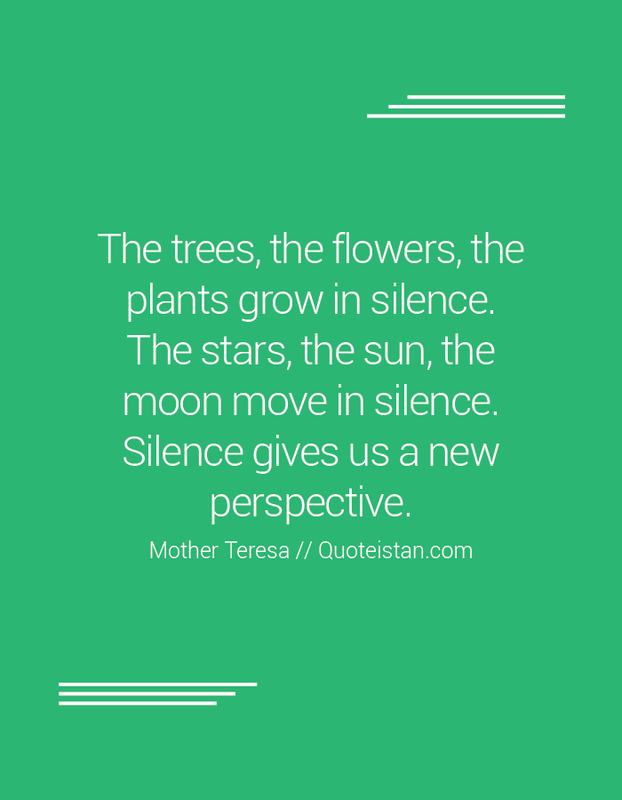 #Silence gives us a new perspective.